Hi everyone! 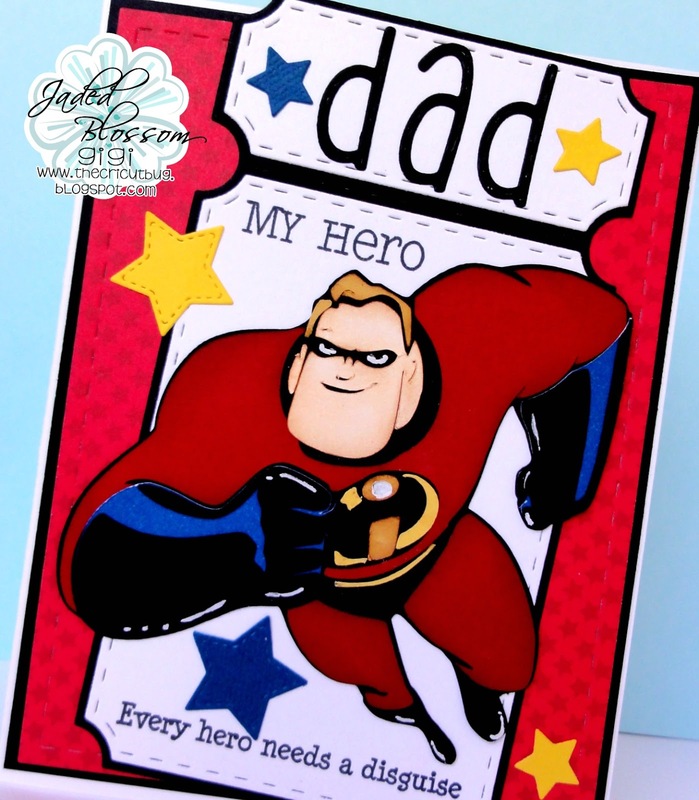 This is GiGi from The Cricut Bug and I have a fun Father's Day card to share using lots of JB goodies! I cut out the Ticket Book Die and added the white mats. I stamped the sentiments onto the main mat using the Super Hero Revamp and cut the word DAD using the Alphabet Dies. I cut Mr. Incredible from the Best Of Pixar Cricut cart and added him to the ticket. 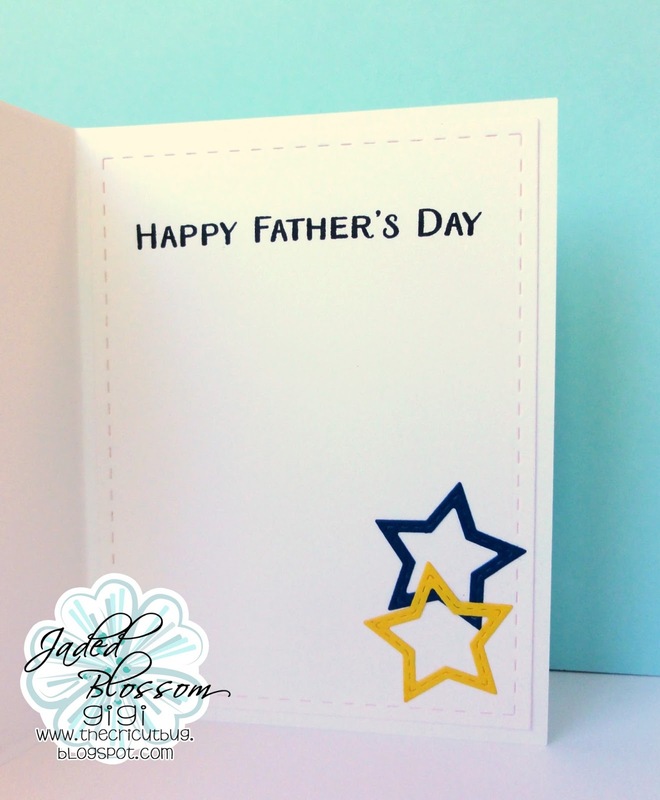 To finish, I added some stars cut with the Star Dies and stamped the inside sentiment using the Worlds Greatest Parents stamp set. I hope you all liked my card and thanks for visiting! Have a great day! 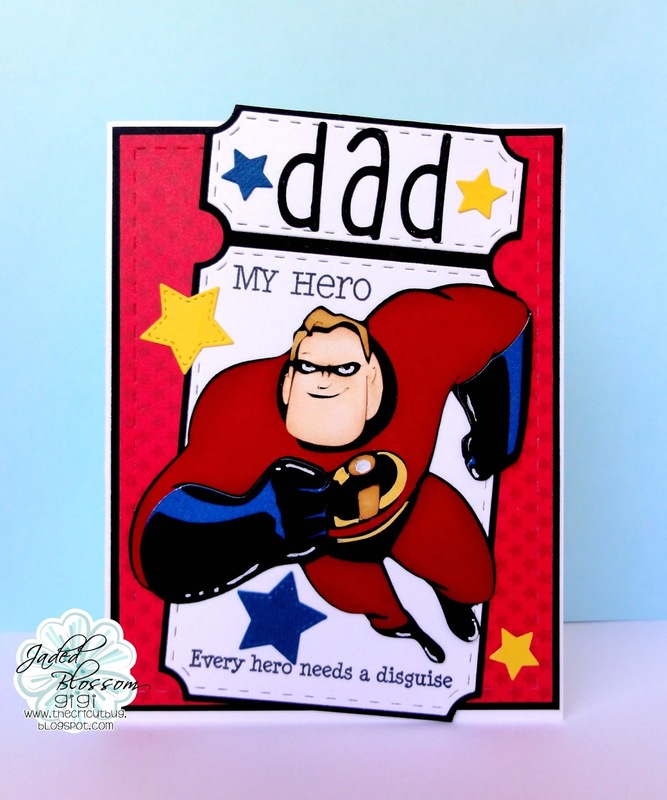 What a FUN card...your Super Hero looks amazing!